I've been putting my retirement savings into a target-date fund but want to know whether that's a good idea or if I should consider other investments. What do you think? --Robert K.
Target-date funds are one of the most popular choices among retirement savers. According to the Employee Benefit Research Institute's latest report on 401(k) balances and investments, more than 70% of 401(k) plans offer such funds in their investment line-up and nearly half of participants in those plans invest in them. The reason for their appeal is simple. By choosing a target-date fund with a date that corresponds to the year you expect to retire (2020, 2030, 2040, whatever), you get a mix of stock and bond funds appropriate for your current age that automatically becomes more conservative as you near retirement. In effect, target-date funds offer a diversified portfolio and retirement investing strategy in a single no muss-no fuss fund. But despite their popularity, target-date funds are also one of the most maligned retirement investments. Critics say that they're not personalized enough, noting that a single fund can't possibly take into account the varying financial needs of thousands of shareholders. Other detractors worry that by taking the investing reins out of individuals' hands, target-date funds encourage people to be complacent about investing. To which I say, sure, there's an element of truth to these complaints. But all investments have shortcomings. The real issue here isn't whether a target-date fund does everything one could possibly want an investment to do. It's whether it's likely to do a better job than you would do on your own. 1. Are you capable of building a retirement portfolio on your own? You don't have to be an investing savant to put together a perfectly acceptable retirement portfolio. By spending just 10 to 15 minutes with this risk tolerance-asset-allocation tool, you can come away with a recommended mix of stocks and bonds that can help you invest your retirement savings in a way that makes sense given your tolerance for risk. But will you actually do it? For a number of reasons, many people don't. Some just never get around to it. Others attempt to build a portfolio but screw it up by concentrating too much of their savings in investments have soared of late or, erring in the opposite direction, by spreading their money across every fund their 401(k) plan offers. Even people who start out with a well-balanced mix of assets sometimes spoil it by shifting their savings into gimmicky investments or moving from one investment to another in a vain attempt to capitalize on market sectors they hope will surge to outsize gains. 2. Are you comfortable picking investments? Once you know what blend of stocks and bonds is right for you, you then have to choose specific investments to create that mix. Ideally, you want to choose a combination of low-cost funds that will give you exposure to stocks of all types and styles (domestic, foreign, large, small, growth and value) as well as bond funds that track the broad investment-grade bond market (government and corporate issues in a range of maturities). Stock and bond index funds fit the bill nicely, although if you're investing within a 401(k), you'll have to do the best you can with the investments in your plan's menu. The idea, though, is that you want a group of funds that works in concert with each other, not an unwieldy jumble with overlapping holdings. Nor do you want to be constantly jettisoning or adding funds on the basis of their recent performance, or expanding your holdings just because your plan has added more investment options to the plan. Diversification is good. Take the concept too far, however, and you run the risk of "di-worse-ifying." 3. Are you willing to manage and monitor your holdings? You don't have to obsess over your portfolio and look for ways to tweak it every time the market wiggles. Quite the opposite. Once you've set a reasonable strategy, the less you mess with it, the better off you'll generally be. But you should be willing to check in occasionally to see if the funds you've chosen are performing as expected compared with relevant benchmarks. You should also rebalance periodically, so that gains or losses in different parts of your portfolio don't push your stocks-bonds mix too far from your target mix. In the later stages of your career, chances are you'll want to begin shifting your focus away from growth and more toward preserving the savings you've accumulated, which may mean gradually moving your asset mix more toward bonds. So as you near retirement, you should re-assess your asset mix by revisiting that risk tolerance-asset allocation questionnaire I mentioned earlier to make sure your portfolio still reflects the amount of risk you're willing to take now that you're older. You don't want to find yourself on the verge of retirement with a high-octane portfolio that will take a massive hit if stocks go into a prolonged bear market. If you don't feel confident about answering yes to these three questions, then a target-date fund that makes your investing decisions for you may very well be a good choice. If nothing else, it might save you from your own bad decisions. In fact, research shows that 401(k) participants who own target funds are less likely to end up in portfolios with "extreme" allocations for their age -- that is, young savers with little or no equity exposure and older investors with all or nearly all of their money invested in stocks. That's not to say that target-date funds are the only option if you're wary of investing on your own. You could also consider a managed account, which is essentially a professionally managed portfolio of funds that can be more customized to your specific needs. Bear in mind, though, that this option could be more expensive, in that you'll pay a fee for the managed account itself on top of the underlying fund fees. If you're comfortable dealing with an online investing service, the new breed of investment advisers known as "robo-advisers" are another way to get a diversified portfolio that meets your needs. But if you're investing savings within your 401(k), such options would be an alternative to a target-date fund only if your plan offers them. If you do decide to go with a target-date fund, try to do some due diligence so you know what you're getting into. At the very least, you'll want to know what you're paying for the fund. According to Morningstar's 2016 Target-Date Landscape study, the average asset-weighted annual expense ratio for target-date funds is 0.73%, although individual funds can have annual expenses of 1% or more, or less than 0.20% (the lowest-cost target-date funds generally invest solely or mostly in index funds). If the funds in your 401(k) are at the upper end of this range, you'll have to decide whether the benefits of not having to create a portfolio on your own are worth the cost. You should also check the fund's asset mix just to be sure you're okay with it. Target-date funds geared toward young investors will often have 80% to 90% of their assets in stocks, on the theory that youngsters can tolerate more volatility since their portfolios have plenty of time to rebound from setbacks. 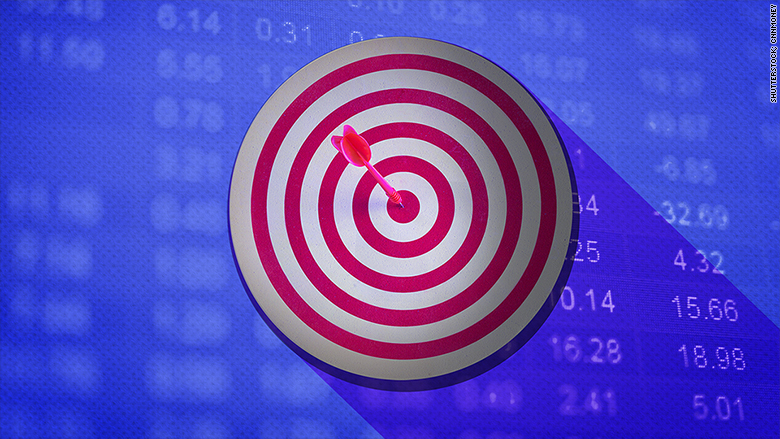 The equity stake for target-funds designed for older investors is usually much lower, although just how much lower can vary widely from fund to fund, as can the fund's "glide path," or how it transitions from stocks to bonds during retirement. Since there are no official target-date guidelines, you'll have to talk to a fund representative or check its prospectus to ensure you understand how the fund invests its assets over time. Finally, keep in mind that target-date funds work best when you have all or nearly all of your retirement savings in them. If you feel your target-fund is too aggressive, you can always invest a small portion of your savings in cash or bonds (or, conversely, invest in a stock fund if you feel the target-date fund is a bit too conservative for your tastes). But if you must resort to tweaks, keep them small. If you combine them with lots of other funds -- as many people do -- it will be harder for you to gauge how your savings overall are split among stocks and bonds and you may very well undermine the rationale for buying a target-date fund in the first place -- i.e., to assure you have a coherent and consistent investing strategy. Bottom line: Target-date funds are no panacea. But if you want a diversified portfolio for your retirement savings -- and you're unwilling or unable to create one on your own -- a target-date fund is a reasonable way to go.